and our digi-q to maintain temp. 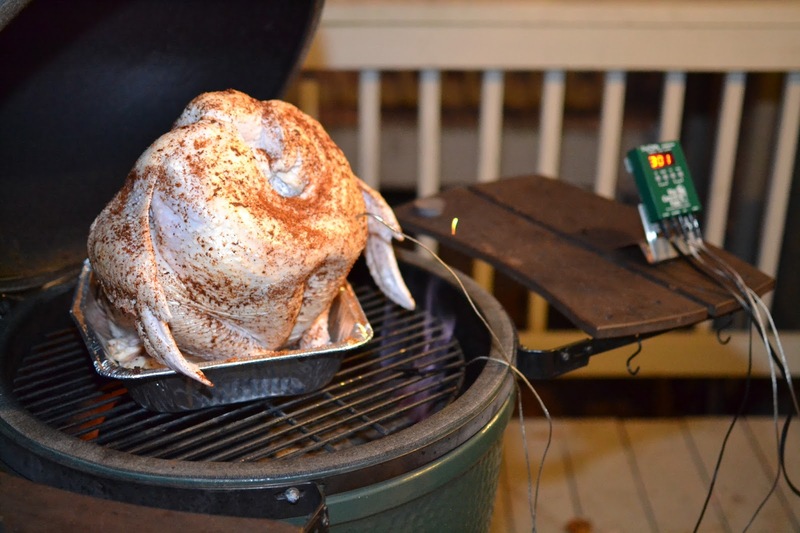 Also the first use of my Thermoworks Mk4 thermometer. Look for a review later but I'm delighted with it. 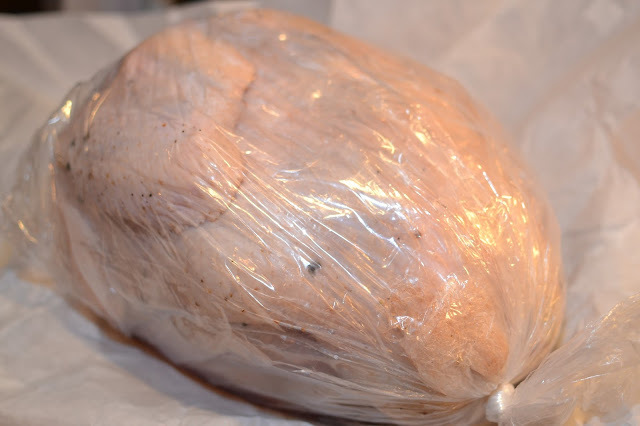 We bought a fresh turkey from a local farmer's market connection and had them brine it for us. 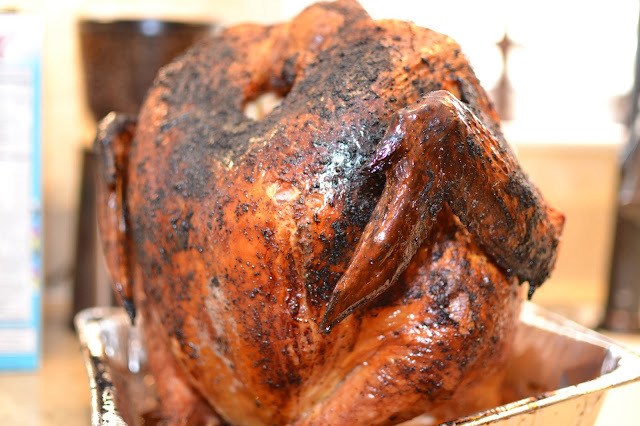 So it was already thawed and brined when we picked it up the day before Thanksgiving. after pulling to rest at 10:10, it continued to rise to 171 at 10:30. So then I wrapped it in a foil and a towel and placed it in a cooler until game time. Did a back handspring out of bed at 6am Thanksgiving day and began heating the egg. I had it prepared the night before so I only needed to light it, turn the digi-q on 420 and let it go. So back into the house, time to get the bird ready. 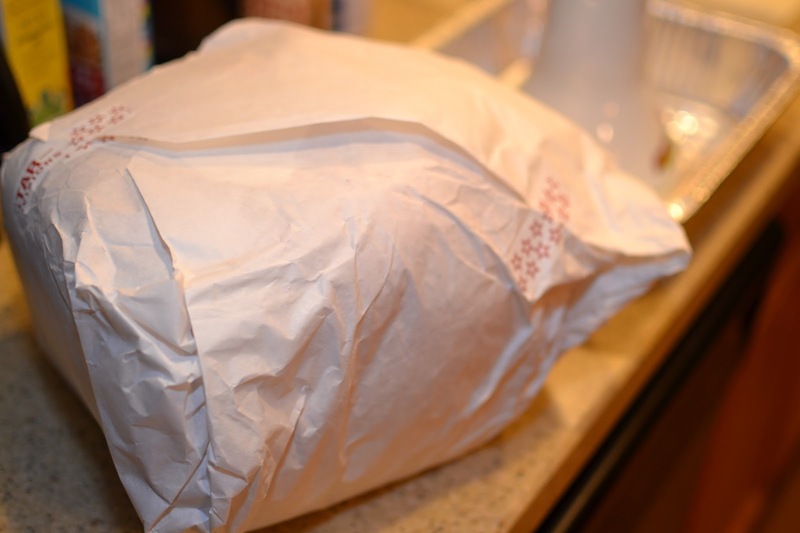 An update - unwrap your brined bird the night before, rinse it and let it sit in the fridge uncovered to dry the skin. It will make the skin crispier. Took the bird out of the fridge. 0 dark 30. 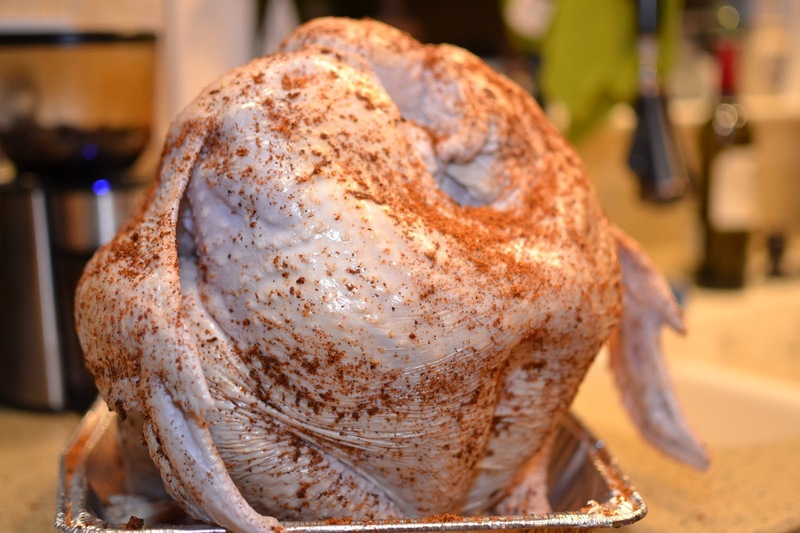 Rubbed it down with a stick of butter and then sprinkled on some 3 beer rub (just whatever you have for a little flavor and color) and stuck it on the turkey sitter mentioned above. Used a disposable pan to keep things clean. 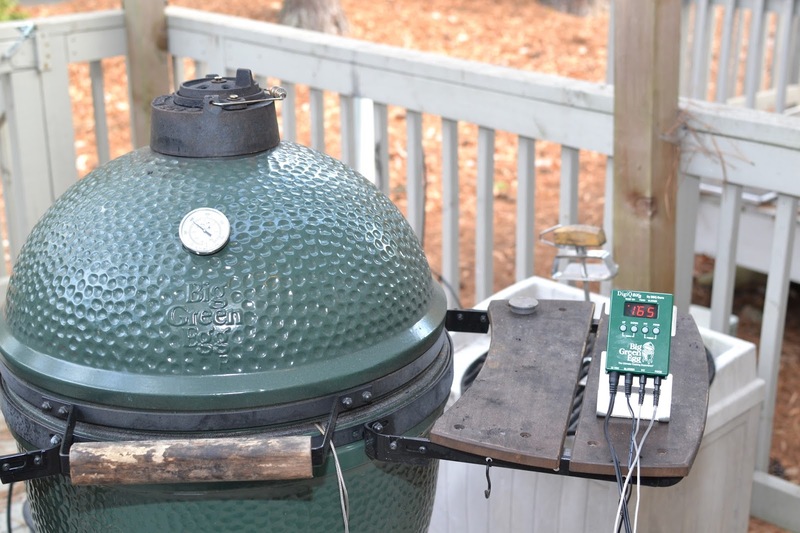 In the mean time, the digi-q did it's job and had the Egg at 420 degrees by 6:45. Turkey goes on, fingers are crossed. Note - plate setter is in. 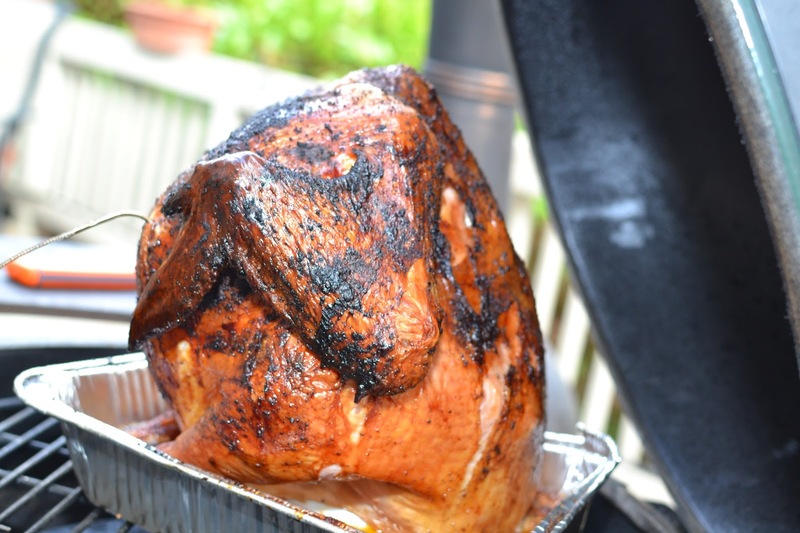 As you can see, the bird is about 165 degrees at 9:45am. So as the temp approached 160, I started measuring the bird with the MK4. 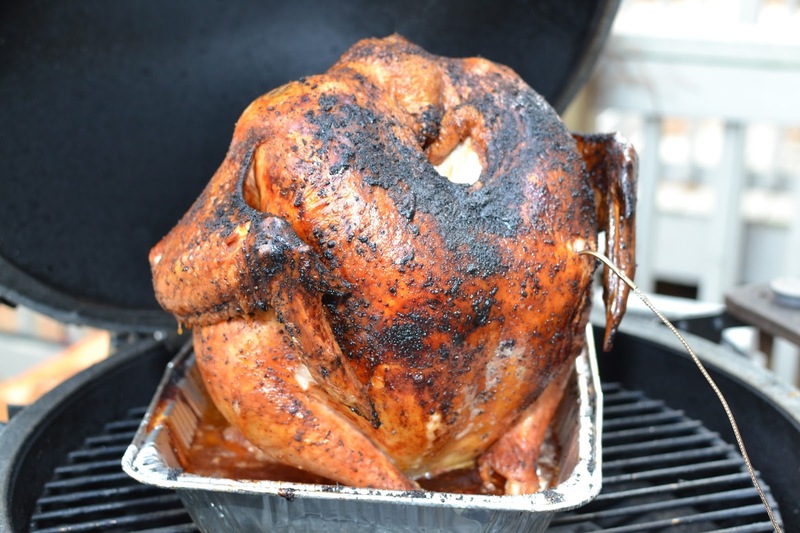 Thermoworks tells me that the bird should be pulled off when the coldest part (center of breast) reaches 157 degrees. It says that because they estimate that the residual cooking will continue to heat the bird to 170 after it has been removed from heat. I pulled the bird at 10:10 at 161 degrees and at 10:30 the coldest part of the bird was 171. The bird was perfect. The outermost skin was a little crisp and the inner white meat was perfect. The dark meat is always best. We would love it if you would drop us a note in the comment section and let us know how your cook went. We are always looking for suggestions and improvements! We have opened up the comments so that anyone can post now, so please do. I'll try not to delete anything unless it is spam or stabs me in the heart. So apparently Thermoworks doesn't sell through Amazon anymore. You must buy direct. Still the thermometer to have. Go here and order direct. unfortunately, we don't get a dime for this but still, it is one you want.